Classic wooden drum with stretched hide top makes a crisp rat-a-tat-tat and comes with a sling cord and two drumsticks. 4 1/2"h x 7 1/2" dia. If you’ve ever visited Monticello on Thomas Jefferson’s birthday, you might have been lucky enough to witness the United States Army’s Old Guard Fife and Drum Corps marching on the West Lawn and playing music that Mr. Jefferson would have heard during his time. 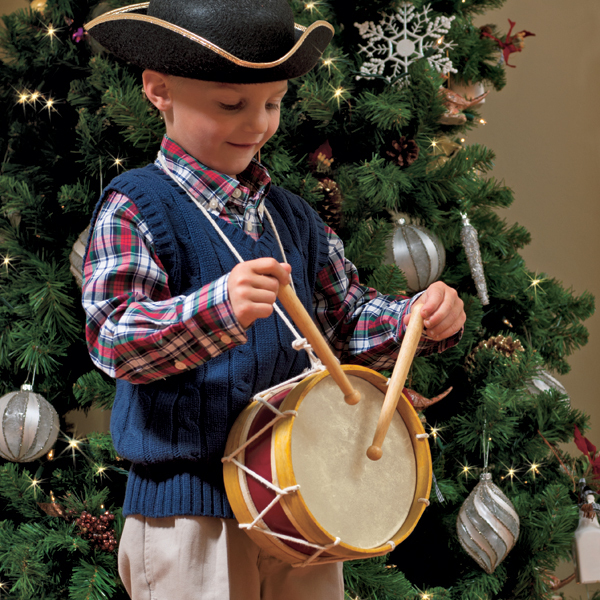 Keep the tradition alive with this classic wooden drum!